Boaters are being urged to properly clean and dry their boats to ensure voracious invasive mussel species don't take hold in B.C. 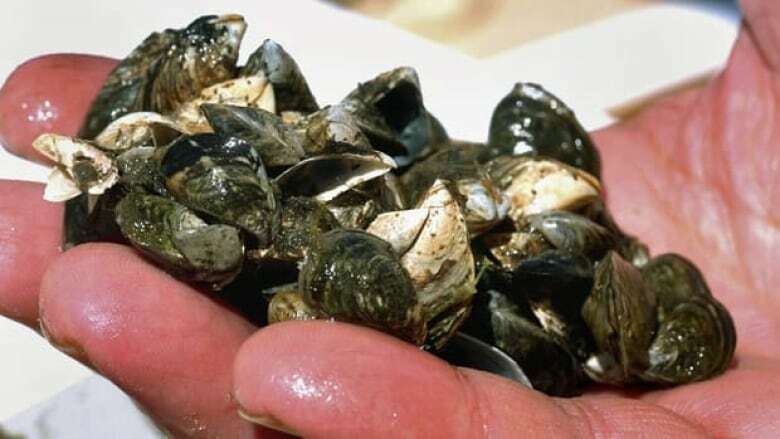 The South Okanagan Invasive Plant society is urging boaters to properly clean and dry their boats to ensure two voracious invasive mussel species don't take hold in B.C. Zebra and Quagga mussels have infested lakes in eastern Canada and states in the western U.S., like Californina and Nevada. The thumbnail-sized mussels choke out native aquatic plants and animals and clog up water intake pipes and filters. The mussels have not yet been detected in B.C. but Lisa Scott, with the South Okanagan Invasive Plant Society, says boaters need to closely inspect their vessels and properly clean and dry their boats to ensure the invasive species don't become established here. "The juvenile stage, they're quite small so [feel] the hull of [your] boats. The juveniles feel a lot like sandpaper so it's important to do those inspections and then clean your boats down — ideally by pressure washing." Scott says boaters also need to drain any water from their boats before entering another body of water body. She says it only takes a small amount of contaminated water to allow the mussels to establish – and then, there's no turning back. "There's significant economic impacts. The costs could be in the millions of dollars to try and control the spread the mussels." This summer, Scott is coordinating an education program to educate boaters about helping keep Zebra and Quagga mussels out of B.C. lakes. As well, a marine decontamination station is being brought to the East Kootenay. The portable boat washer will blast boats with hot high-pressure water that kills the mussels.